GKR Karate (Go-Kan-Ryu) brings the exciting Martial Art of karate within reach of everyone. Our classes are taught in a structured and disciplined fashion, but maintain a positive environment of encouragement and fun for all students. We cater for children 5 yrs+, teens, adults and families. Whilst karate is a highly effective form of self-defence, our teachings also emphasise the important concepts of restraint and non-violence to all participants. Karate training builds confidence, develops self-discipline, improves fitness and places high value on personal character, respect and courtesy. We believe that everybody should learn some form of self-defence these days. Our goal is to empower students with a greater sense of inner strength and personal safety, while promoting a positive mental attitude and good character. GKR Karate has been established since 1984 and has thousands of members across Australia, New Zealand and the UK. GKR Karate Prime is an exciting new concept that aims to accelerate the learning process by offering the opportunity for students to train as often as they wish each week with a wide range of class times offering children’s and adults classes 7 days a week, with many of these classes suitable for families to train together. One training pass gives you access to 20 different sessions, giving students and parents flexibility of times, and easy access to nearby classes. We also run classes right throughout all school holidays, allowing students to maintain consistency with their training and giving them extra activities to pursue during school breaks. Our online community is vast and highly supportive of all members. We encourage you to visit us on Facebook to further see what we’re all about! Karate classes are available in Northmead for children and adults. Daytime and evening classes offered all year round on various weekdays. Please contact GKR Karate Prime - Northmead for exact class hours for different age groups. Would you like more information on hours, classes and programs available at GKR Karate Prime - Northmead? Please contact the school with your questions. Update the details, Write a Review or Report Error of GKR Karate Prime - Northmead. This Chart shows the Martial Arts Styles offered most in Northmead, Australia area. 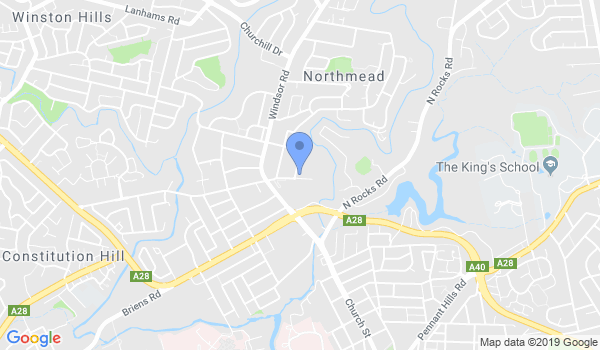 View a list of Dojo in Northmead, or enter your address below to find schools closest to you.